This was my first Inspector Ian Rutledge book and yes, I did that (bad) thing where I jumped in at the very end of the series! 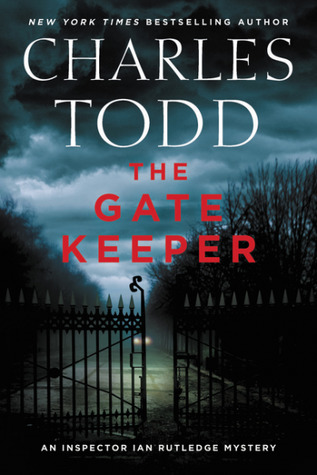 The Gate Keeper is #20 in the series (#21 coming out in 2019) but after careful reading of its description and giving thought if it would be okay to read as a standalone, I decided to go for it. I cannot say that I am sorry in the least about where I started in this series because I chose the audiobook and Simon Prebble’s narration was absolutely fantastic. It didn’t matter to me at all that I was not starting this series from the beginning, Prebble’s narration gave such life and warmth and personality to Inspector Rutledge that I didn’t feel lost anywhere in terms of his character development and past. 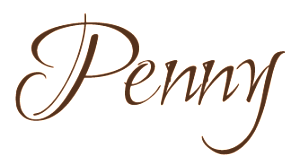 Prebble has now filled a void that has been missing ever since Ralph Cosham, Louise Penny’s committed narrator to the Gamache series, passed away. While Prebble may not be as perfectly perfect as Cosham, he comes pretty damn close. I wanted nothing more than to sit in my car and listen to him tell me this story. I know I prattle on and on about Cosham, but honestly, he was one of the very best narrators around. He was my favourite. Prebble is so wonderful and he truly fills that void so that I’m now immediately listening to others in the series. It’s readily available in audio beginning from #10 The Pale Horse, and I’ll just work my way from there to The Black Ascot (#21) due out in the Spring. As each of the mysteries are standalones, moving backward in the series will only help give me a firmer understanding of Rutledge and some of the characters he has a close relationships with. The Gate Keeper was a very interesting mystery too. I wasn’t able to piece it together as quickly and oh my, the lengths people will go to over money, including murder! It was a pretty unique story line – not one to be expected. The characters involved were all excellent and included a mother character that was downright despicable – even Rutledge held her in great disdain! The meaning of “the gate keeper” doesn’t come out until the very, very end but it does give a meaningful and great close to the story. I’ve listened to three inspector/detective series now and I’m also a major fan of the Lynley series written by Elizabeth George. All of these series feature leading men with very similar characteristics. I’m in love with all of them, and of the belief that a great reason why has to do with the fantastic narration by Ralph Cosham (Gamache), Robert Glenister (Strike) and now Simon Prebble (Rutledge). It may be perhaps due to how they have each brilliantly assumed these identities, making them theirs and breathing life and personality into them through their narration. When I finished The Gate Keeper I thought hard about who I think would embody Rutledge if he were to be made-for-TV. 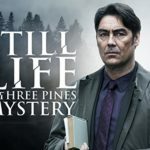 I’ve also imagined this for Gamache, and find the 2013 made-for-TV movie of Still Life doesn’t match up to my imagining of Gamache. Now Still Life would have been when he was much younger, but I think Nathanial Parker gives him a more sinister look than how I picture him? I have more of a grandfatherly image of Gamache. Warm, assured, broad and capable. 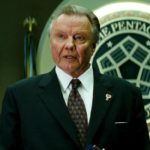 The closest person I can think of in Hollywood would be Jon Voight, but there is still something just not quite right for me. For Rutledge, I’m not 100% clear on how old he is…and that could be my fault because of where I started this series. He’s home from WWI, but I’m not clear on how old he was during the war, and I’m placing The Gate Keeper around 1920? I keep putting him close to his 40s, but I’m not sure if that is older than he is? Looking through British actors to find suitability, I thought perhaps Tom Hiddleston but I don’t think he’s the right age, and Rutledge seems more wizened than Hiddelston’s younger and leaner looks. 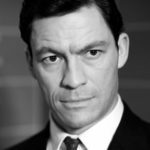 Then there is Dominic West, but he’s nearing 50 in real life. This picture of him though gave me a good impression of what Rutledge could look like though. 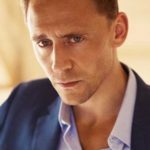 Tom Hiddleston – the other possibility, although a weaker one? for Rutledge. 🙂 Thanks for listening to my babble. Do you picture actors that might portray the characters you’re reading about? At any rate, I rated The Gate Keeper a 4+ star read! I am eager to continue with Prebble’s narration and the delight to my ears he will bring to the Inspector Rutledge mysteries! The mystery was clever, and the narration was fantastic, my enjoyment of Rutledge was greatly influenced by Prebble’s narration. I’ve been casting characters for the Gamache series since the first book. I’ve found for my image of Gamache. 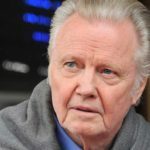 No to Jon Voight…sorry. Too old and light. I so loved Ralph Cosham as a narrator but have grown to like Bathurst a bit after listening to him for I think 4 books now. The latest Three Pines, Kingdom of The Blind, was so very good. I do think each book gets better. I have the new Kingdom of the Blind! It was a fantastic birthday gift! I have one other book to read first and then it is for sure being read next! I’m excited to have a new one to read over the holidays. What a treat that will be.